Beautiful cake. I love using Jello in cake recipes. It really boosts the flavor. I will never know if it works to freeze…it won’t last long enough for that at my house! Oh man, I would love a big slice of this right now to go with my coffee this morning! 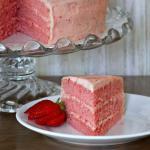 Strawberry cake is a must for everyone’s recipe box…thanks for sharing! i would love to make this for my son. how long can this cake set up if I make it on a Friday or Saturday for Sunday? does it have to be refrigerated? We’ve eaten this cake up to five days after it was made, and it still tastes great; maybe not quite as “light” in the sponge-cake sense, but just as delicious – just fractionally denser, if that makes sense. Also coincidentally, just last weekend, we took a six-month old quarter-cake out of the freezer, and we were very pleasantly surprised at how fresh-tasting and well-preserved it was. 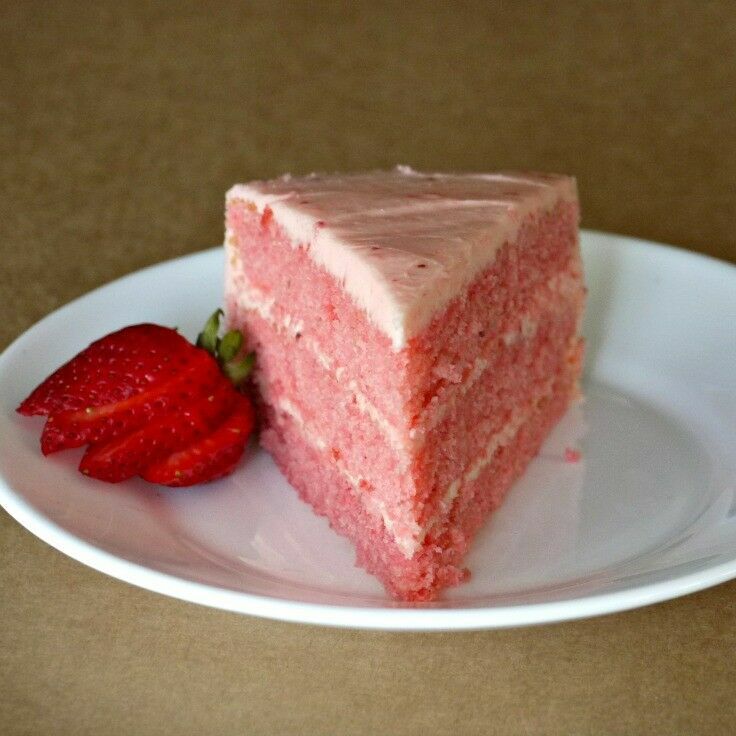 I love that this cake is made with fresh strawberries. It looks really tasty! 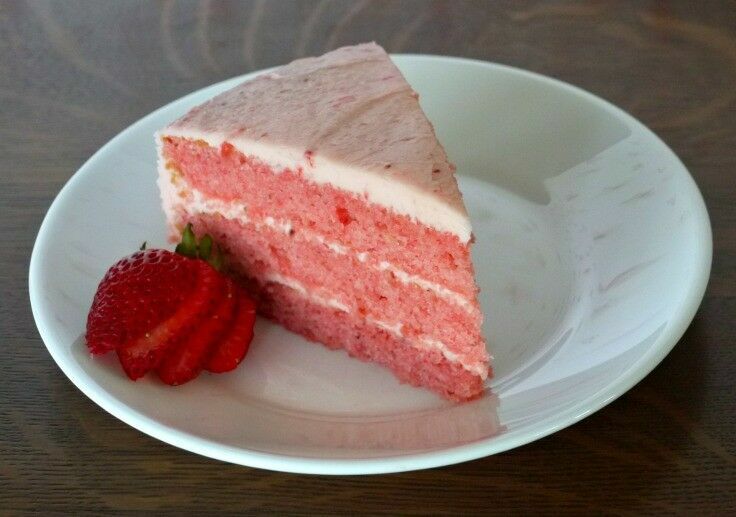 I love strawberry cake! Your version looks so light and fluffy — just perfect. Can’t wait to give this a try! 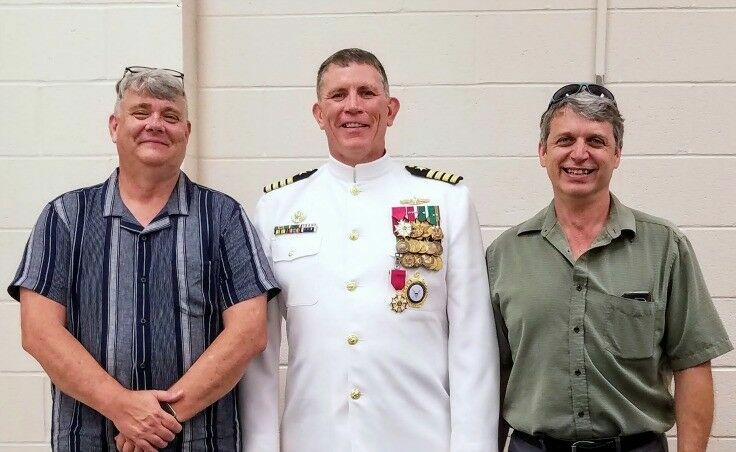 I have been to a similar ceremony and I agree- they’re something incredibly special about being a part of those. As for your cake, that looks so good! And I love the naturally pink color that comes from the strawberries! Lovely cake! 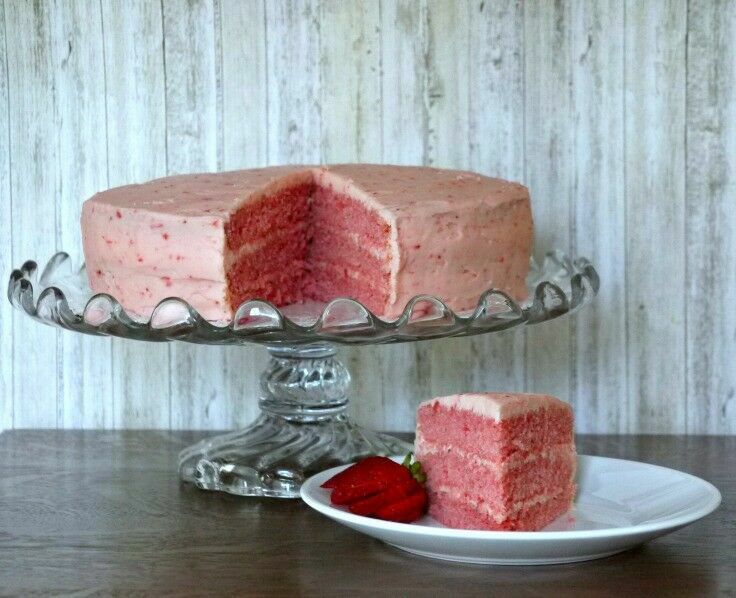 I like that you used fresh strawberries to get that natural pink coloring in the frosting. “Baking a memory” — what a beautiful turn of phrase to express the way taste can transport us in time. It doesn’t hurt that the cake turned out to be gorgeous! Gorgeous cake! 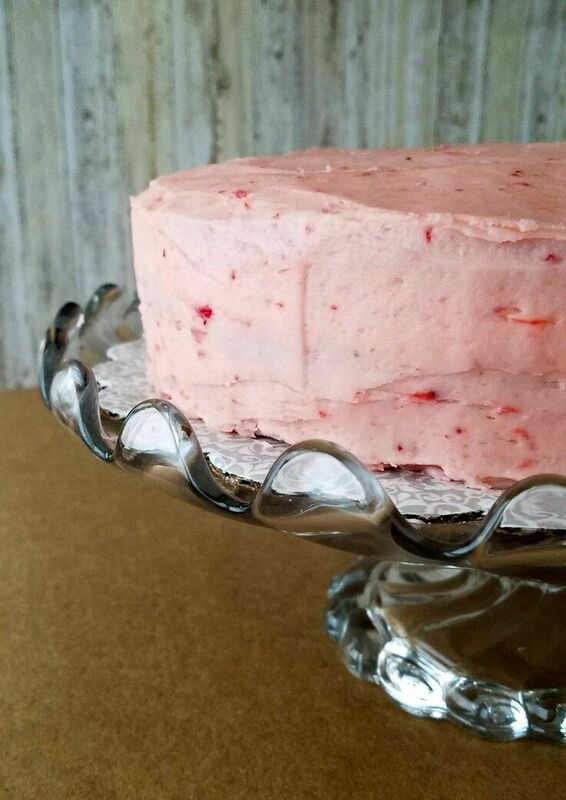 The color from the fresh strawberries is so pretty, and baking from scratch is so much better than using boxed cake mix. Also, love the idea of baking a memory. What a lovely thought! 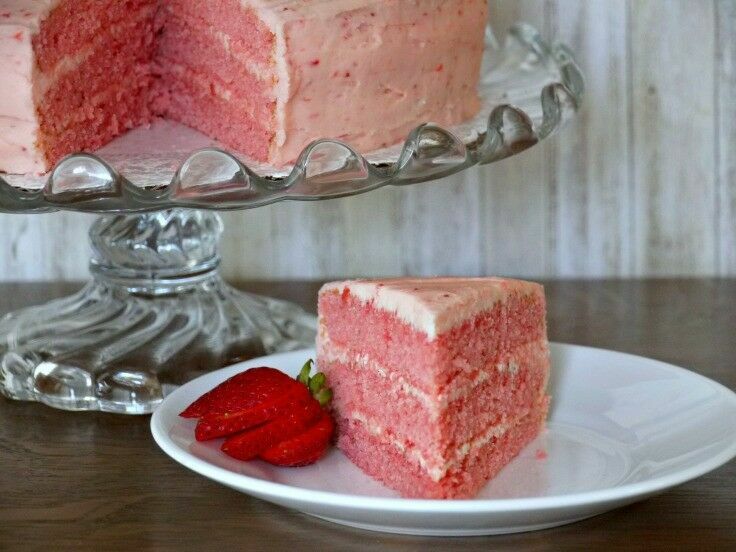 I LOVE strawberry cake. It has always been a favorite for some strange reason. Well, not so strange, really. It really is delicious. Thank you for sharing! 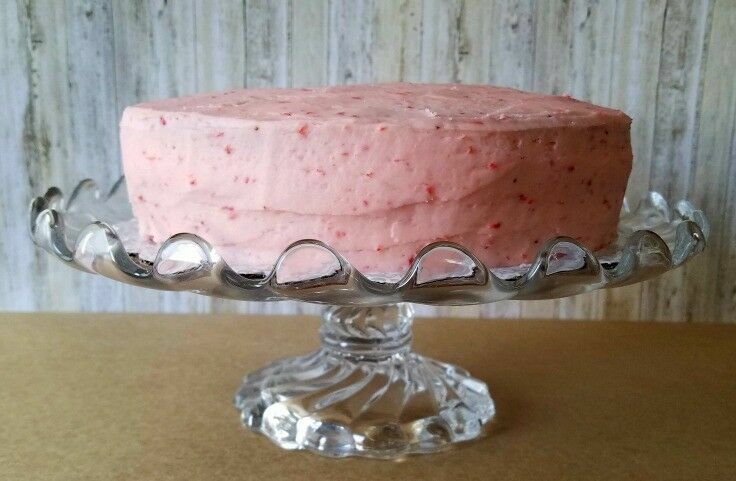 My mom LOVES strawberry cake and we’re always looking for a good classic strawberry cake recipe from scratch. Will definitely be printing this one off for the recipe box. What a pretty cake, and I love the sweet colors and the lovely story about the inspiration from the near past and farther past. It is so nostalgic and classic! This cake looks perfect! I really the presentation! The cake looks beautiful! I’ve never put too much thought into how much my baking habits resonate with memories growing up! That color is spectacular! I don’t think anything beats a good pink dessert and this looks absolutely tasty. I love that it utilized fresh strawberries too! YES YES YES!!! When strawberries are back in season this is the first thing I will whip up!!! What a beautiful cake! I’m with you on the frosting. I don’t like to go overboard. I like a nice balance so you can equally taste the cake with just enough frosting. 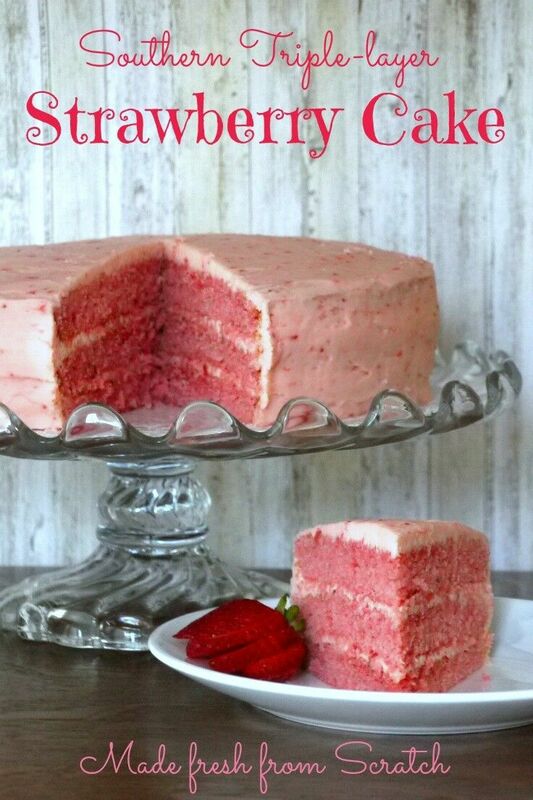 This strawberry cake looks and sounds delicious, I will definitely have to try it for the family, thanks for sharing! What a gorgeous color you got on the cake! And fresh strawberries are so yummy in cakes, I bet this is too! Wow, thank you for the recipe! It looks so delicious. I will try to make this cake tomorrow! This looks so delicious! I have a birthday party to go to this weekend and was thinking I may make this cake! Even from the freezer, this cake is amazing. We had some leftover that we froze and I decided to pull it out yesterday after being in there since August. I loved it! Great! Thank you so much. I can’t wait to try it.